Please give a warm welcome to my friend Linda from Brunch with Joy! 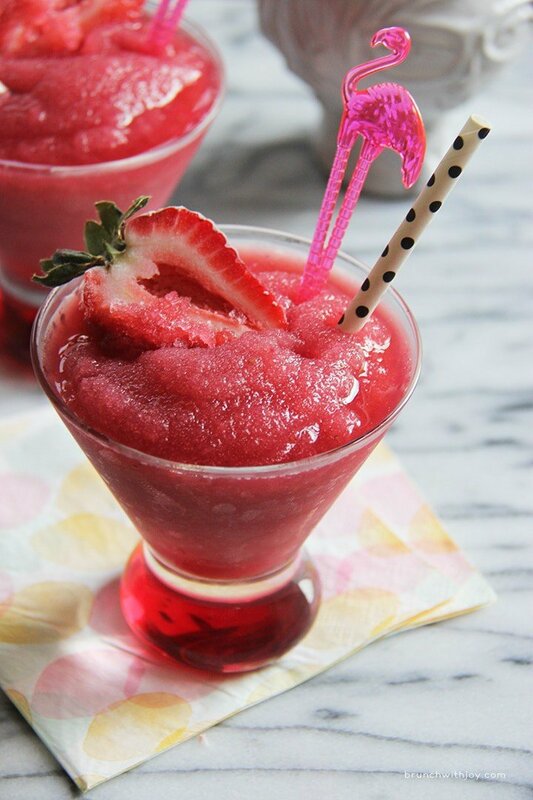 She’s celebrating her first blog birthday, and sharing this gorgeous strawberry moscato slush with us. Today I am so happy to introduce you to my friend Linda. I had the pleasure of hanging out with Linda at my first ever food-blogger conference, IFBC ’13 in Seattle, Washington. She is one of the sweetest gals I know and super-talented to boot. One year ago this week, she started Brunch with Joy, and she’s been rocking it ever since. I’m so grateful to her for sharing this lovely cocktail with us today! And, with that, I’m going to turn things over to Linda so she can fill you in on all the details. Take it away, Linda! Thanks for having me here, Allie, and hello to all Baking A Moment readers. I’m Linda from Brunch with Joy and I’m a sweet tooth person, especially when it comes to chocolate! The weather has been a bit gloomy lately but that doesn’t stop my excitement knowing that Summer is just around the corner. I love Spring when the flowers started to bloom and everything looks so pretty. Spring also marks the beginning of the BBQ Season, which, in our family, normally happens on Memorial Day. This year’s BBQ is going to be a fantastic one because we just finished decorating our backyard and we’re looking forward to grill all Summer long. Aside from pinning and planning BBQ menus on Pinterest, I’ve been daydreaming about slushy ice. 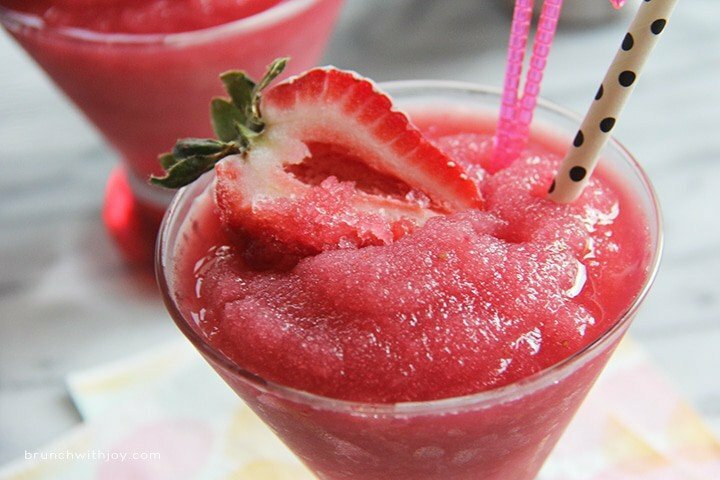 This Strawberry Moscato Slushy is perfect for any kind of gatherings. They are fresh, colorful, and easy to make. I use Red Moscato because it has sweet citrus and peach flavors, plus its vibrant color that is perfect for outdoor fun! 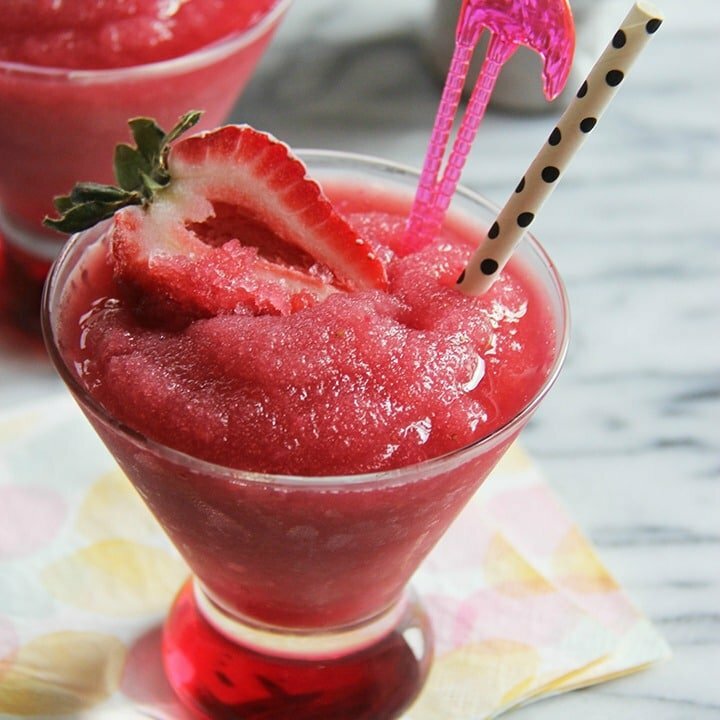 A refreshing frozen cocktail made with red moscato wine and sweet summer strawberries! 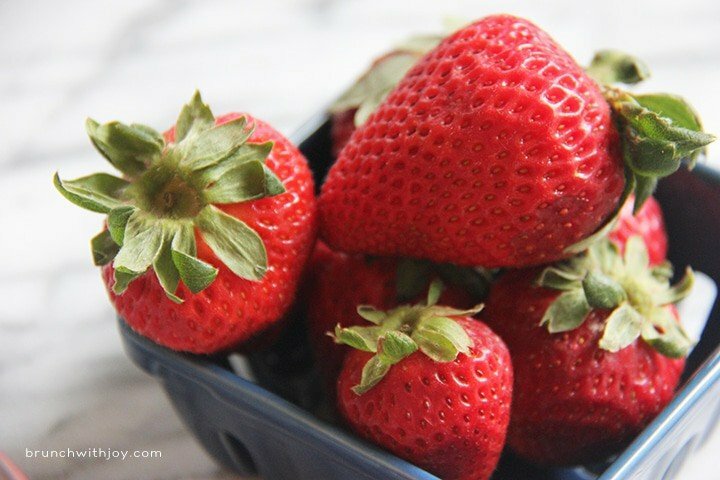 In a food processor, puree strawberries with the remaining ingredients. 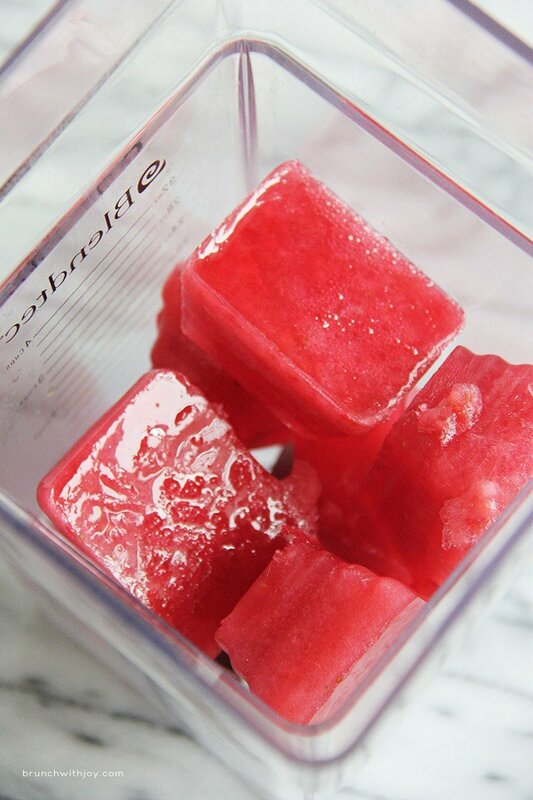 When you’re ready to serve, puree the ice cubes with the remaining wine in the blend until slush consistency. Enjoy! Another giveaway? Allie, you sure do look after your readers!! Linda, what a fab slushy! It’s heading into winter in Sydney but I want to try this anyway! I know, I’m doing 2 giveaways at once, it’s crazy! This one was all Linda- she deserves all the credit! She’s a total rockstar! That slushy looks so refreshing for spring. It’d be a great way to get all of my friends together for a girls’ night. I love this strawberry moscato slushie from Linda!!! Beautiful!!! Happy blog birthday Linda. This slush is stunning and I’m sure very tasty. Doesn’t it sound sooo good?! Girl you said it! Thanks hon! 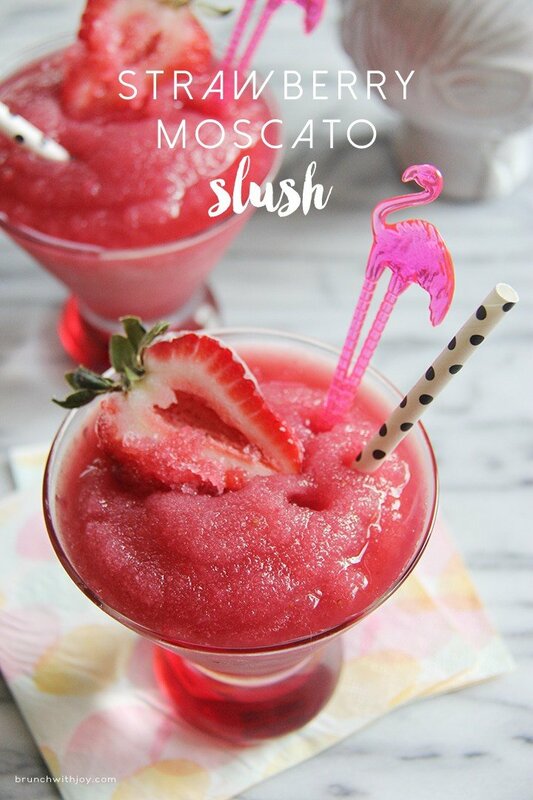 This strawberry moscato slush could NOT be more tantalizing – it looks like the perfect way to celebrate Spring and the return of warmer weather…not to mention the end of yet another year of grad school! Thank you both for sharing the recipe! Woohoo! I couldn’t agree more, and it was my pleasure! Happy anniversary Linda! This slush looks amazing! Love it! Well this sounds fabulous! I love moscato and strawberries together, this is such a great idea for a slushy cocktail! Isn’t it??? I’m kinda wishing I had thought of it myself, lol! Thanks Beth! Cool! I hope you like Brunch with Joy- I think Linda is so super talented and a such a sweetheart too. Oh my goodness, that blender with a batch of those strawberry moscato slushes in it would make my dreams come true! Same here Danielle! They will definitely be on our summer menu this year! Why have I never had a moscato slush before? I just so happen to have some moscato on hand, and I know what I’m doing with it! 😉 Thanks for the awesome giveaway. Happy blogiversary, Linda! I know, right? The second I saw this I was like, now why didn’t I think of that??? Thanks so much for stopping by, Joy! I couldn’t have said it better myself Helen! 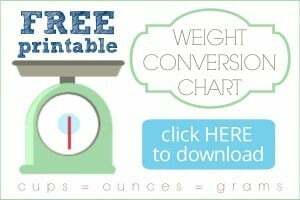 Thank you for sharing and Happy bloggiversary! I cannot wait to use this recipe for our Memorial Day BBQ. It’s perfect to begin summer.